However, Zach Wilson was stopped short of the goal line on the final play of the game, and the clock ran out on BYU’s upset hopes. But Jaren Hall, making his first appearance of the season, lost 2 yards out of the Wildcat formation and a corner fade pass to Talon Shumway wasn’t close to being completed. 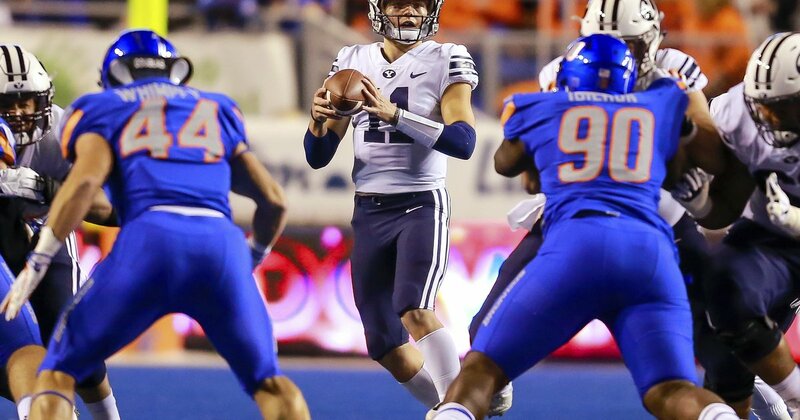 A holding penalty on Brady Christensen backed them up after they reached the 13, and Wilson fumbled a slightly high snap that Boise State recovered to end the threat.